Captain Cyrus Drake of the UAS Maverick sat in his quarters, trying to plan out his next move. With half the ship’s crew still out shopping for supplies in the shops of the Crion spaceport or exploring the planet, he finally had the time — not to mention the peace and quiet — to think. With both Rooker and the Federation after the Alliance ship captain and his crew, it was only a matter of time before they closed in on them. Things were going to get bad if they didn’t do something soon. We can’t keep going on like this, Cyrus thought to himself. We’re likely to wind up dead if we can’t figure a way out of this mess. As it stood right now, the Maverick’s crew didn’t have a chance at taking on Rooker head on, and with the ship stuck in Sector 32, there wasn’t much they could do to prepare or acquire some kind of help. If only we could get the Federation off our backs. Cyrus racked his brain, trying to think of anything that he might have overlooked, some way to tip the odds in his favor. That’s when an idea came to him, a way to solve his little problem. As soon as all her crew had returned, the UAS Maverick departed from Crion with a sense of haste and urgency. “Where are we headed now?” Axel asked as he joined up with the rest of the crew at the front of the ship. Axel wasn’t particularly thrilled with this idea. “And what if she just turns us over to the Federation?” the mercenary asked. “Teleport out, Blade!” Ace ordered his Ralts as Axel’s Charmander spit out a tide of flames at the Pokemon. Blade blipped to the opposite end of the Maverick’s cargo hold as the spot he had been standing was engulfed by fire. “Ritsu, after him!” Axel ordered his Pokemon. “Now, Confusion!” Ace commanded Blade as Ritsu sprinted across the cargo hold to get in range. The Ralts blasted the pursuing Charmander with psychic energy, bringing her down. “Ha. 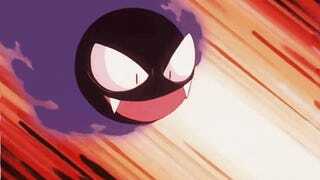 Maybe I won’t go so easy on you this time.” Axel laughed as he released his Gastly. The two went for another bout, and once again, Ace and Blade emerged victorious, barely edging out Axel and his Pokemon. As his Ralts delivered the final blow with another Confusion, Ace watched as his Pokemon companion began to glow. Once the near-blinding light died down, the android was able to see Blade’s new form. “We’ll be touching down in five,” the captain’s voice sounded over the Maverick’s comms as the ship dropped out of warp space in the Vana system on approach to Malina, the location of Sector 32’s Pokemon gym. Axel gazed out the front viewport as he joined Cyrus and Anya in the cockpit. He had never been to the planet before, nor had he any reason to. The Alliance mercenary had never been particularly interested in the Outer Rim Gym League Challenge, and Malina’s gym was about the only reason anyone would visit the planet. As far as Axel was concerned, the gym leaders weren’t all they were cracked up to be, and he felt that they imposed all these unnecessary constraints on Pokemon battles that one would never find in a real life scenario. He did suppose the captain was right about one thing though; battling against a strong trainer would help them prepare for confronting Rooker. “So, you really think this Darlene can help us?” Axel asked, glancing over at his employer as the Maverick broke through Malina’s atmosphere. “Oh she’s a real sweetheart,” the captain said, patting Axel on the shoulder. “So definitely not your type,” he added with a laugh. A few moments later, the ship was touching down at Malina’s single spaceport. After the captain paid the docking fee, Axel joined up with him, as well as Taraka and Ace, and they caught a shuttle out to the Pokemon gym, which also doubled as Darlene’s ranch. “What kind of Pokemon do they use at this gym?” Taraka inquired as the group approached the ranch. “That’s for you to find out,” Cyrus told the monk. “I wanna say Normal,” Axel offered, eyeing the corrals full of Tauros and Miltank. As they drew nearer, the figure of a woman, silhouetted by the bright sunlight bearing down on the flat plains of Malina, appeared from around the side of the large barn. “Cyrus Drake, ain’t you a sight for sore eyes,” she spoke in a chipper tone of voice, her Alliance Outer Colony accent quite apparent. “Hello, Darlene,” the captain replied. As the Sector 32 gym leader stepped into the shade cast by the barn, Axel was able to get a better look at her. She was an attractive woman, probably a few years older than he was, with long and wavy auburn hair and bright blue eyes. She was wearing a faded denim shirt, a pair of dirt stained jeans, some well-worn work boots, and a floppy brown cowboy hat. Axel would have been lying if he didn’t find her attractive, but he thought he detected some history between this woman and his boss, so he opted not to make a move, as he was prone to do when meeting an attractive woman. “Well, what can I do ya for, hun?” Darlene asked, approaching the Maverick crew. “I was hoping you could help us out with a little problem,” Cyrus answered. “Hmm.” Judging from her facial expression, Axel could tell Darlene recognized the name. “Course you would’a gone an’ got mixed up with a man like that,” she finally said after a while. “Well is wasn’t exactly our fault,” Axel cut in. “Anytime, hun,” the gym leader said, giving the captain a wink. “Now that that’s out of the way,” Cyrus said. “How about you whip the boys here into shape with a gym battle.” He motioned toward Axel and the rest of the crew. Waves rippled through the blades of grass as the Maverick crew assembled in the gym arena, which in this case was a fenced off rectangular plot of grass with the classic Pokeball-motif design of the Outer Rim Gym League at its center. “Alright, let’s see what y’all are made of,” Darlene said as she stepped into the designated trainer area on her side of the arena. On the other side, Axel, Taraka, and Ace stepped forward as well. “You’re not joining us, captain?” Ace asked, looking back at Cyrus. The Maverick’s captain smirked and folded back the flap of his coat. “I’ve already got this badge,” he said, pointing to a handful of badges that signified victory in the Gym League. “Fine, don’t help us then,” Axel said, turning his attention back to the gym leader. “You’ll do fine,” Cyrus told his crew. “I’m sure we will,” Axel said as he pulled out a Pokeball. “You’re up, Ryner!” He tossed the ball out, releasing the Alakazam he captured back on Crion. His two crewmates followed suit, Taraka sending out his giant Tangrowth, and Ace sending out his recently evolved Kirlia. “Alright, boys, bring it on,” Darlene said as she tossed two Pokeballs up into the air. The balls landed on the ground, and out popped a Tauros and a Miltank. “Bodie, Elsie, show ‘em what your made of!” The Miltank hung back while the Tauros trotted forward. “Alright, Bodie, lead of with Horn Attack! Strike that Alakazam hard!” The Tauros charged forward, plowing right into Ryner, landing a powerful blow with one of its large horns. “We need to do something about those powerful hits,” Taraka said to his crewmates. “Right,” Axel agreed. “Ryner, use Reflect!” The mercenary’s Pokemon backed up slightly from the Tauros and threw up a psionic barrier to protect himself and the other two Pokemon on his side of the field. 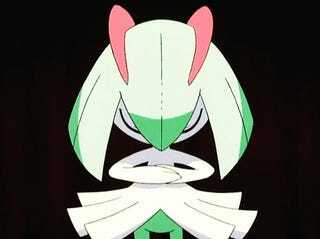 “Blade, Confusion,” Ace then commanded his Kirlia. “Hit that Tauros.” The Pokemon moved up a bit then blasted the Tauros with psychic energy. However, it didn’t appear to do to much to the Pokemon. “You’re up next, Elsie!” Darlene shouted. “Hit that Tangrowth with Body Slam!” Her Miltank rushed forward and dove at Roma, bowling her over. Normally, Taraka’s Pokemon was immune to such attacks thanks to whatever ghostly energy had been present where she had been captured, but Darlene’s Miltank was a scrappy fighter. It seemed the gym leader was prepared for a variety of different tactics challengers might employ. “Roma, get yourself up and use Mega Drain!” Taraka commanded his Tangrowth. Unfortunately, the monk’s Pokemon was left stunned from the powerful hit she took and was unable to move. “Bodie, Rock Slide!” Darlene ordered her Tauros. The Pokemon reared up, then stomped down hard, kicking up several large rocks, which it then launched at the Maverick crew’s Pokemon. The blast of rocks pelted both Roma and Blade. Fortunately, Ryner was able to dodge the incoming assault. It was a good thing too, because both the Tangrowth and the Kirlia were left immobilized by the powerful hit. Quickly assessing the field, Axel knew that things weren’t going to go well if they didn’t do something about that Tauros soon. “Ryner, use Ice Beam!” he commanded his Pokemon. “Hit that Tauros with all you’ve got!” The Alakazam crossed his spoons and built up energy, summoning forth a stream of freezing energy. The hit struck dead on, dealing a decisive blow. “Now, follow up with Psybeam!” Before the Tauros could recover, it was struck by a beam of psychic energy from the Alakazam. “Bodie, move back and Work Up!” Darlene commanded. “Elsie, keep him covered! Strike that Alakazam with Rollout!” As her Tauros retreated to build up strength, the gym leader’s Miltank rolled into a ball and launched itself at Axel’s Pokemon. As the Miltank plowed toward him, Ryner redirected its path with a telekinetic push, keeping himself from harm. “It was a distraction!” Axel exclaimed, realizing what Darlene’s tactic had been as her Tauros charged toward his Pokemon. “Not so fast!” Ace shouted. “Blade, Confusion!” Diving back into the fray, the android’s Kirlia blasted the charging Tauros with psychic energy, bringing it down just before it could land what would have undoubtedly been a devastating hit. “Roma, your turn,” Taraka encouraged his Pokemon. “Use Mega Drain!” Unfortunately, the Tangrowth was still immobilized and unable to move. “Elsie, Rollout again!” Darlene commanded her Miltank as she recalled her fainted Tauros. Her Pokemon rolled back into a ball and came at Axel’s Alakazam from the other direction. “Quick, dodge it, Ryner!” Axel warned his Pokemon. Just before the moment of impact, Ryner stepped to the side, and the Miltank rolled right past. “Now, Psybeam!” The Alakazam fired a beam of psychic energy at the Miltank as it passed him, landing the first good hit on the Pokemon. While the two Pokemon were engaged, Ace took the opportunity to heal his Kirlia with a potion before Darlene sent out her next Pokemon. The gym leader tossed out another Pokeball, releasing a Snorlax wearing a giant cowboy hat. Were he not focused on the battle, Axel would have taken the time to appreciate how awesome the Pokemon looked wearing the hat. “You’re up, Pudgie!” Darlene said to her Pokemon. “Get in there an’ hit ‘em with an Earthquake!” Her Snorlax plowed right into the fray and stomped down hard, causing the ground to shake. Fortunately all three of the Maverick crew’s Pokemon managed to dive out of the way of the shockwave of rocks and earth. From across the arena, Axel could see an annoyed expression on Darlene’s face, but she was quick to rethink her strategy. “Elsie, Rollout again!” Rolling up and charging at Ryner again, the Miltank finally managed to land a hit on the Alakazam. “You can do it, Roma,” Taraka continued to encourage his Tangrowth. “Mega Drain that Snorlax.” Finally, the monk’s Pokemon was able to do something, draining some energy out of the Snorlax to revitalize herself. “Blade, Confusion on that Miltank,” Ace commanded his Kirlia. Blade kept his distance, landing a hit on the Miltank, starting to whittle it down further. “Ryner, use Ice Beam!” On his trainer’s command, the Alakazam fired off another beam of freezing energy, striking the Miltank. Unfortunately, the fatty bovine Pokemon seemed to resist the cold. “Ryner, protect yourself with your barrier!” Axel ordered his Pokemon as the Miltank rolled right at him. Ryner focused his psychic barrier right in front of himself, slowing his attacker down and lessening the impact. It was a sound strategy, but Axel didn’t see what happened next coming. “Pudgie, follow up with Body Slam and take it down!” Darlene’s snorlax dove at Axel’s Alakazam, crushing him with its large body and bringing him down. “Damn it,” Axel cursed as he recalled his fainted Pokemon and switched to his Gastly. “Roma, Mega Drain again!” Taraka commanded his Tangrowth. Still not back to one-hundred percent, the Sinai monk’s Pokemon failed to act upon the orders her trainer gave her. “Blade, Disarming Voice,” Ace commanded. His Kirlia moved in between Darlene’s Pokemon and let out a sonic pulse that did a bit of damage to both. “Scion, use Hypnosis!” Axel ordered his newly released Pokemon. “Take that Miltank out of commission for a while!” The Gastly flew over to the Miltank and released a hypnotic beam from his eyes, putting it to sleep. Axel breathed a sigh of relief knowing that the Pokemon was out of their hair, at least for a little while. “Roma, use Mega Drain,” Taraka commanded his Pokemon. This time, the Tangrowth was able to get her attack off, draining a little more energy away from the Snorlax. Darlene, however, didn’t seem to view the Tangrowth as a priority. “Pudgie, Body Slam that Kirlia!” she commanded her Snorlax. The large Pokemon leapt at Ace’s Pokemon, but the remnant of Ryner’s psychic barrier softened the impact. The weight of the Snorlax was enough to deliver a heavy blow, but the barrier was enough to keep Blade up. “Fall back for now, Blade,” Ace ordered his Kirlia once the Snorlax got up, and the Pokemon retreated toward him to get healed again. Axel, meanwhile, was planning his next action. At that moment, it occurred to the mercenary that Gastly may not have been the best choice. The Pokemon was good for putting the Miltank to sleep, but it really couldn’t do anything else as it only knew ghost type moves. “Scion, just hit that Snorlax!” Axel commanded the Pokemon. It was about all he could do. The gaseous ghost Pokemon flew up to the Snorlax and crashed into it, but the attack didn’t seem to do much. “Well that didn’t do anything,” Axel grumbled. “You don’t happen to have any more Pokemon left, do you? !” the mercenary then called across the field. “That’s for you to find out, hun!” the gym leader called back to him. “Now, let’s get ‘em Elsie!” Darlene’s shouting seemed to do the trick, as her Miltank awoke and picked itself up. “Use Retaliate! Take down that Kirlia!” As Blade was moving back into the fray, the Miltank charged at him and knocked him out. “Your turn, Pudgie! Use Rest and regain your energy!” Darlene’s Snorlax dropped backwards onto its back and dozed off. “Roma, Mega Drain again!” Taraka then commanded his Pokemon. The Tangrowth, however, was once again immobilized. “Oh, enough of this!” the monk shouted, sounding surprisingly annoyed. He then ran up to his Pokemon and administered a paralyze heal. Ace, meanwhile, had recalled his Kirlia and swapped to his Ponyta. “Flare, Flame Wheel,” he commanded his newly released Pokemon. “Target that Miltank.” The Ponyta charged forward, coated over with flames, and slammed into the Miltank, whittling it down a little more. Darlene didn’t seem to think the new combatant was much of a threat and instead focused on Axel’s Gastly. The mercenary assumed it was because she didn’t want it to put her Miltank back to sleep while her Snorlax was resting. “Elsie, Body Slam that Gastly!” Being a ghost type didn’t do Scion much good, as the scrappy Miltank was able to land the hit and take him down. “Time for the big guns,” Axel said as he recalled his fainted Pokemon. He then pulled out his Charmander’s ball and released her onto the field. “Ritsu, use Ember!” The Charmander spit out a jet of flames as she emerged, but, unfortunately, she wasn’t able to land the attack. The good news was that it had been a good distraction, and Ace seized the opportunity to have his Ponyta land another hit. “Roma, use Mega Drain,” Taraka then commanded his Tangrowth. The large viney Pokemon moved up to drain energy from Darlene’s Miltank but nothing seemed to happen. “Nice try, hun, but grass type moves don’t work on Miltank!” the gym leader teased from across the field. “Now it’s our turn! Elsie, use Stomp!” Running up to Roma, the Miltank delivered a strong kick, proving more effective than the Tangrowth’s attack. “Flare, Ember that Miltank,” Ace then commanded his Pokemon. The Ponyta spit out a jet of flame, landing a good hit on the Miltank, which was finally showing signs of wearing down. “Don’t let it escape, Pudgie!” Darlene called out in response. Her Snorlax took a swing at Ritsu with one of its large arms, but the smaller and more nimble Charmander was able to jump out of the way. Ritsu then spit out a massive surge of flames, delivering a powerful blow to the Miltank. As the torrent of fire continued, Darlene’s Snorlax moved in and absorbed some of it with its fatty body. While the large Pokemon was distracted, Taraka took advantage and commanded his Tangrowth to drain some of its energy away. “Roma, hit it before it can get away!” Taraka shouted to his Tangrowth in response. As the Snorlax moved back, the vine Pokemon swiped at it with one of her vine arms, but she only succeeded in knocking its hat off. For a Pokemon of its size, the Snorlax was surprisingly quick. Ritsu, however, was quicker. 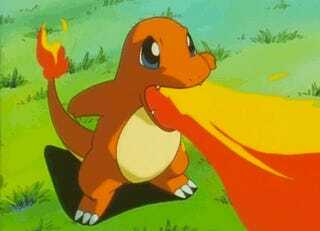 As Darlene’s Pokemon dove at her, the Charmander hopped backwards, avoiding the hit. Heeding their trainer’s commands, Ace’s Ponyta and Axel’s Charmander unleashed a dual stream of flames at Darlene’s Miltank, doing some pretty significant damage to it. “Finally, we’re getting somewhere!” Axel shouted. “Damn it!” Axel cursed as the Miltank healed itself up with its milk. The energy drained was insignificant enough that Darlene didn’t pay much mind. “Pudgie, use Yawn on that Charmander!” Her Snorlax opened its mouth wide in a yawn, causing Axel’s Pokemon to become drowsy. The fire lizard Pokemon was only able to get off one more fiery attack alongside Ace’s Ponyta before succumbing to sleep. “Elsie, Stomp that Tangrowth!” Darlene called out in response. “Keep it off Pudgie! Pudgie, you target that Ponyta! Use Facade!” The gym leader’s Miltank delivered another kick to Roma, counteracting the energy draining she had been doing, while her Snorlax landed a powerful hit on Flare, injuring the Ponyta. 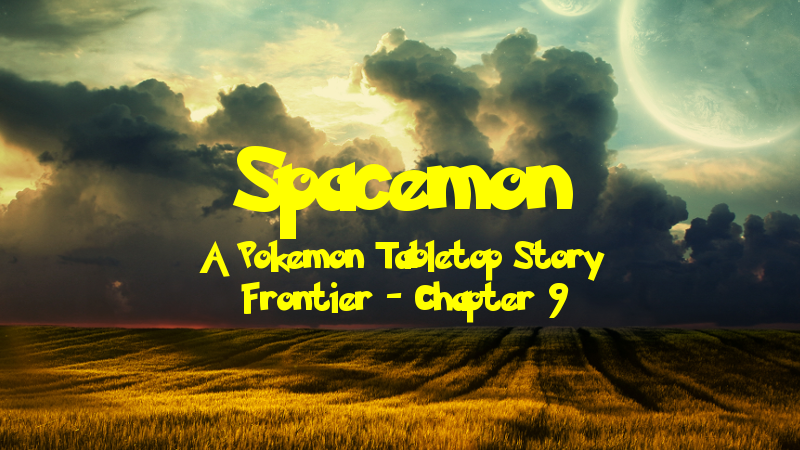 “Flare, fall back and Ember,” Ace commanded his Pokemon in response to the attack. The Ponyta backed away and spit fire at the Miltank, and then, once the attack made contact, Ace recalled him and sent his Kirlia, which had been healed with a revive, back out. The four active Pokemon on the field continued to trade blows, slowly whittling each other down. All the while, Axel’s Charmander remained asleep. “C’mon, Ritsu! Wake up already!” The mercenary shouted encouragement at his Pokemon. As Ace’s Kirlia dodged a powerful swing from one of the Snorlax’s arms, the large Pokemon stumbled forward, hitting the sleeping Ritsu instead and waking her up. “Finally!” Axel exclaimed in relief. While his Pokemon had taken a good hit, he knew she could hang in there and win the fight. “Alright, Ritsu, use Ember on that Miltank!” The Charmander spit out a surge of flames, and the Miltank finally seemed close to going down. “Finish it with Confusion!” Ace ordered his Kirlia. The android’s Pokemon let loose a blast of psychic energy, taking the Miltank out of the picture at last. “Right,” Taraka agreed. “Roma, you know what to do!” The Monk’s Tangrowth continued on with the strategy he had been having her employ for most of the battle, draining away more of the Snorlax’s energy. “Dodge it, Ritsu, then use Ember!” The small and nimble fire lizard jumped back, avoiding the incoming attack, then returned fire, bringing it close to the brink. “Finish it with Mega Drain!” Taraka commanded his Tangrowth. As Roma drained away the last of its energy, the Snorlax collapsed. “She does have a point,” Taraka agreed. Captain Cyrus Drake of the UAS Maverick stepped back aboard his ship in high spirits. Things were finally starting to look up. While his crew had returned to the ship a few hours ago, the captain had stayed behind to work out an arrangement with Darlene and the Federation. “Too bad there’s still a bunch of smugglers who want to kill us,” Axel replied. “We shouldn’t even have to deal with him,” Erik pointed out. Notes: Woo! First gym battle! Too bad I forgot to record the beginning of the session, so the first two and a half rounds didn’t get recorded. As soon as I realized I had forgotten, I did my best to recap what had happened so far for the benefit of my future self, but not all the details got preserved. In the writing, I made up some details, and got it to all flow nicely. The first few intro scenes are things I added specifically for the writing that didn’t happen in game, just to better set up narratively why they went to the gym, plus Ace’s Ralts had evolved, but I guess discussion of it had taken place after the previous session’s recordings were done, so it hadn’t made it into the writing. I just added a little training scene so it wasn’t just abruptly a Kirlia, plus I’ve been adding this narrative point to the writing where Ace has been training with his crewmates to learn about battling. Moving onto the battle itself, this was the saltiest I’ve ever seen this party. Even where we are in the campaign as of the time of this writing, about 30 sessions after this one, they’ve never been as salty. The funny part was, that it wasn’t even that bad. They got annoyed with so many things, from Miltank staying up so long to it having Sap Sipper to I don’t even know what. Plus they used Ghost types a lot, which, while immune to Normal (except not Miltank, because Scrappy), mostly only knew Ghost moves, which Normal is immune to. And with Sap Sipper, Tangrowth was worthless against Miltank. Both Miltank and Snorlax had Thick Fat too, but they kept using Ice and Fire, so it was just taking so long. The funny part was that they knew going in that it was going to be a Normal gym (that’s not how I framed it narratively here, but I did tell them out of character), and they had been to Meridian a few times, a generated planet with Fighting types. And I reminded them before the fight that they could go back and get Fighting types, and they declined! Axel saying he wanted to attack the gym leader after the fight was so unwarranted. Luckily, we ended right after the prize money was given and then he missed the next session, which, incidentally, I also forgot to record the beginning of. I just took a few bits from the end of session 6’s recording and injected in some details to make up for the recording starting late just to make the chapter end nicely.